Can You Say Cat Contact Lenses? On October 15th, we will be living in the same San Diego apartment for nine years—and not since the first with a lease. But as of the 1st, we must abandon month-to-month living or pay a $100 penalty every time rent is due (e.g., $1,200 every year). 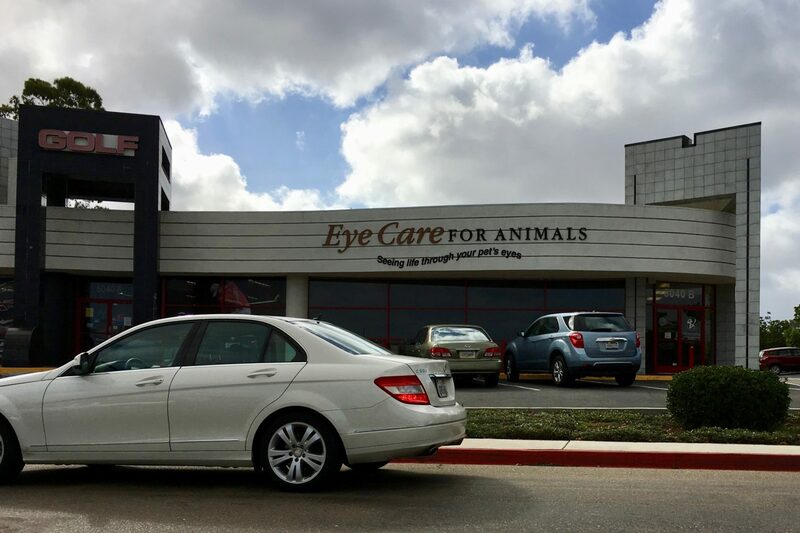 Last week, while Anne drove us to sign the lease we didn’t want to, I spotted the strange veterinary in the photo. Eh, yeah. We love our cats. Dearly. But cataract or glaucoma surgery? I can’t imagine. But this is Southern California, where people priorities are askew and too many folks have too much money to spend unwisely. Forget that blind homeless dude, who might see with ocular implants. Give them to Frisky or Fido instead. That said, I understand treating species-specific diseases, like Feline Herpesvirus. But being cynical from observing SoCal culture, I imagine frivolity unchecked. As for the photo, it is among my last shot with iPhone 6s Plus. Vitals: f/2.2, ISO 25, 1/3077 sec, 4.15mm.